R&B/Pop icon, Prince, now feeling better after being rushed to an Illinois hospital on Friday afternoon. 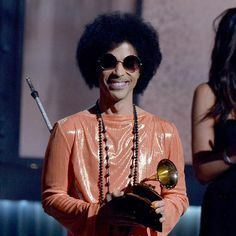 Prince boarded his private plane bound for his home but started to feel considerably worse, so his plane made an emergency landing and Prince was taken to a nearby hospital. Reportedly he was severely dehydrated while battling the flu. Three hours later, he boarded his plane again and is now back in his home doing well.